Linda Grimes: Visiting Reality : Hump Day Happies! Oh, and it's not too late to get in on the tour. Just email me your address and I can add you to the reading list. The other thing making me happy? I haz new bookmarks! Well, the design, anyway. They shall be printed soon, though. Like my previous bookmarks, it was designed by the talented Jeff Fielder. If you need any design work done (book covers, bookmarks, buttons, and such), Jeff is great to work with, and his rates are very reasonable. You can check out his web site at jallenfielder.com. Nice bookmarks. I really should invest in something of that nature. Anne -- Your books have such pretty cover art--I bet you could make some fantastic bookmarks. They make great gimmies to help get the word out about books. And when your books are mainly in digital format, a bookmark is something you can sign for your readers. Jeff only charges $30 for designing them, and you get digital files that are fully print-ready, as well as files suitable for web use. I have my bookmarks printed at gotprint.com (also extremely reasonable, and good quality). Love the bookmark...where do we email you that we want in on the tour. Let me know. I would love to participate. P.s. that camel is waaaaaaaaay cute. Love the bookmark - very cool. I collect book marks and enjoy using them. I was given a Kindle and the only thing (well, there are others...but) I'm unhappy about is not being able to use my lovely bookmarks. Darn! 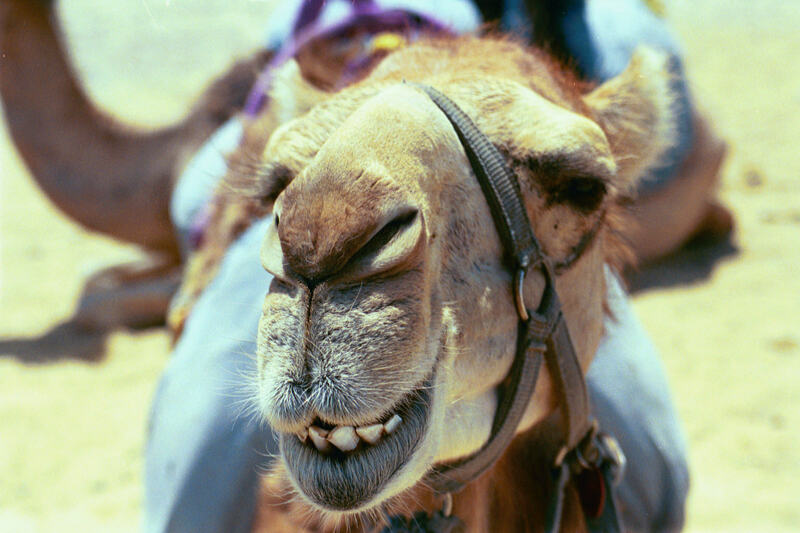 Happy Hump day to you and your camel! Super bookmarks! And that camel is SO getting ready to spit. I see it in his eye. Yup, he's definitely cute. Very nice bookmarks. Bought a new bathing suit - happy. Had a great idea - happy. Saw your bookmarks - happy. Your book is next on my tbr - happy. Yep, that is definitely a "Come a little closer, I'm not going to spit, really. You can trust me" smile. the bookmarks are cool. the ARC coming my way is cool. the camel is cool. and you, grimes, are HOT. Stopping back by to ask you to come over to my blog when you get a change. I left something for you there. Oh, pooh. That should have been "get a chance." Love the happy camel! And the peacock fellow in the post below, too. Gorgeous cover - can't wait to dive into Ciel's further adventures (just got a beta read to finish...) - exactly what I need do distract me from my own editing! Thanks for the shout out. I love working with you. Congratulations on the second book!